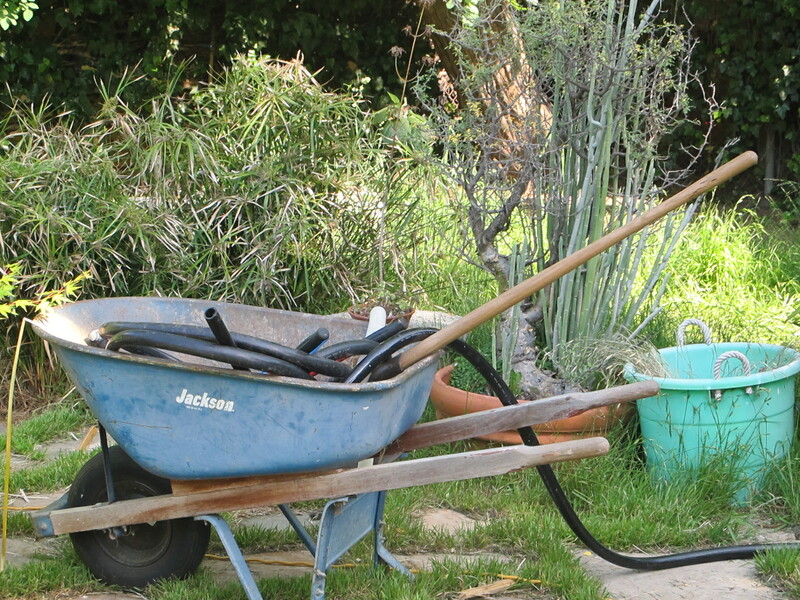 The word gardening for me does not simply apply to working in my “garden” it is a term I use loosely for any yard work I am doing. There are days when I cannot wait to get outside and grab a pair of clippers or a shovel and get to work. As I walk through the farm to the back to feed my animals first thing in the morning I take an assessment of what project I might be able to get done today either before or after work. Now the funny thing about that is by the time I finish feeding and tending the critters then find my gloves and tools I have often found yet another “project” that I wind up doing instead! I always have a “wish” list of things I really want to do and sometimes when I think about them all I can get a bit overwhelmed and then I put on my gloves and grab my tool of choice and like listening to the choir sing my attention becomes focused to one task and becomes a job of pure delight. The world around me disappears as I listen to the birds chirping, see the kitties playing all around me and I joyously trim, weed or plant. Multitasking is greatly over-rated in my opinion; when one uni-tasks the mind becomes quiet, the world is manageable and you are able to let stress dissipate because the job in front of you if your only focus. When approaching my ever-growing to-do list and pick just one thing and make that one thing impeccable, I feel accomplished and good. I feel whole and worthy. Then when I walk through my yard later on I see that one improvement that looks amazing and it makes me want to do the next little item. 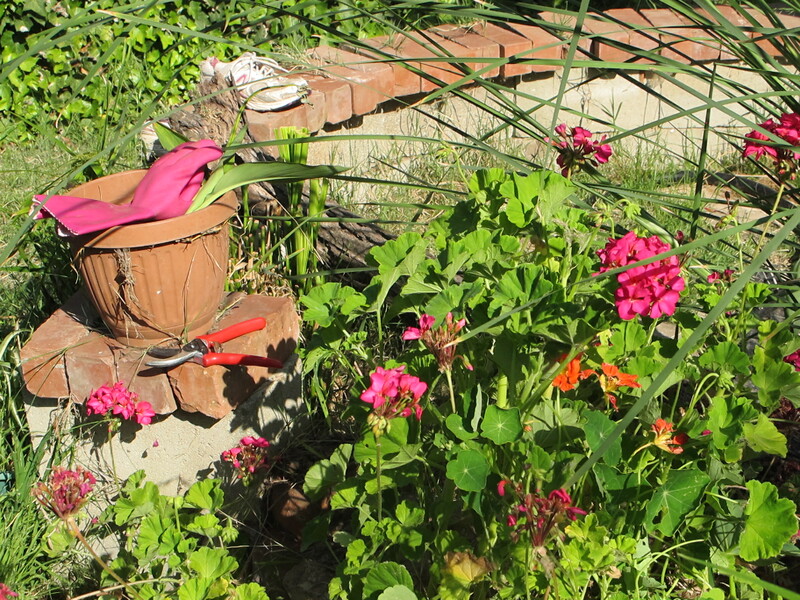 My gardening is my meditation and my ME time. I believe that gardening is my grounding force and by nurturing and tending my land I absorb the good strong and earthy energy it provides and in return I put my love, sweat and happiness into it and viola! The creation is a relaxed, centered and earthy Jen (me) and a piece of property that exudes love, happiness and beauty. One of my projects that really must get handled soon is to tie up the long new growth on the grape arbor. I planted these little tiny plants 3 years ago with dreams of producing a shady spot to sit under in the heat of the day. 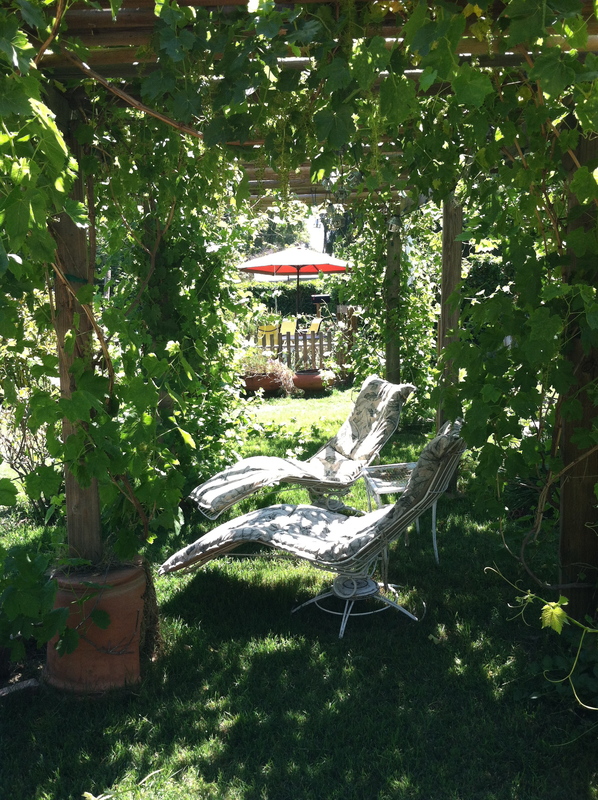 I had no idea how to grow grapes or prune them nor did I realize how much I would enjoy the enchanted grape arbor. This is my outdoor classroom and I take my iPad and books under here and study! I must say it is the best classroom to relax and learn in that I have ever experienced and to see the hundreds of bunches forming this spring is such a treat! 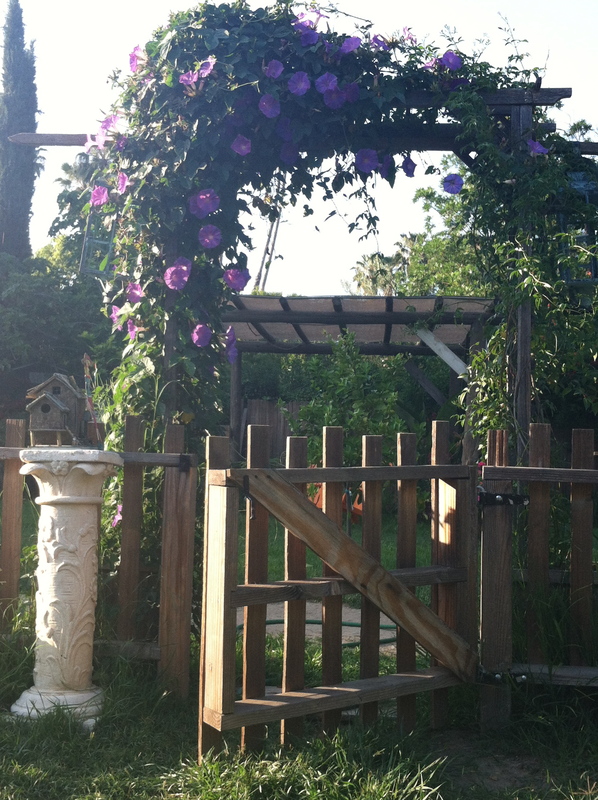 Your arbor is just beautiful…I can see why you would want to spend time there. I know what you mean about how relaxing it can be when you are working outside. I feel the same way when I’m in my garden or orchard.